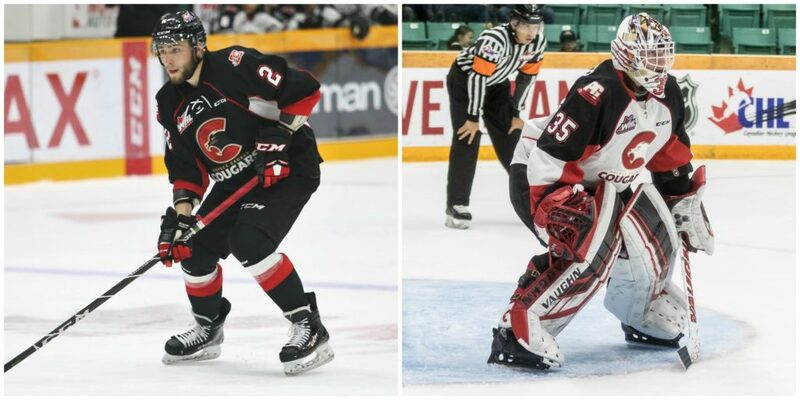 The Prince George Cougars are pleased to announce that goaltender Taylor Gauthier and defenceman Cole Moberg have been listed by NHL Central Scouting in its final draft rankings in advance of the 2019 NHL Draft. 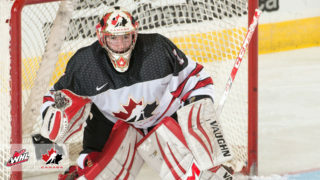 Gauthier is ranked seventh among North American goaltenders and is the third-highest rated netminder from the Western Hockey League (WHL). This past season, the 17-year-old played in 55 games and sported a 15-30-4-2 record, to go along with 3.25 goals against average and a .899 save percentage. He also had three shutouts which was tied for fourth-most in the WHL. 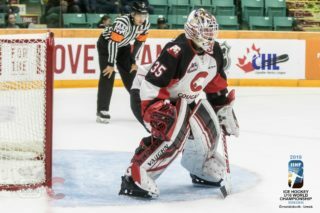 The Calgary, AB product was one of two WHL goaltenders selected to play at the Sherwin-Williams CHL/NHL Top Prospects Game in Red Deer, AB in January. Last week, Gauthier was named to the 23-man Training Camp roster for Team Canada’s Under-18 National Team. Moberg is ranked 136thamong North American skaters, climbing 39 spots from his midterm ranking. The defenceman had a breakout season, as he set career highs in goals (13), assists (27), and points (40). His nine goals were eighth-best among WHL defencemen. Moberg was the Cougars’ top scoring defenceman and finished third in team scoring. The North Vancouver, B.C. 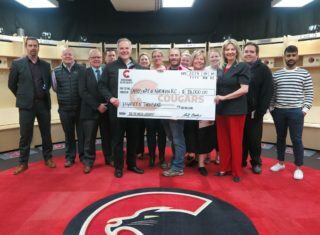 product won the Eric Brewer Award, handed out to the Cougars’ top defenceman. To date, he’s played in 129 WHL regular season games and compiled 16 goals and 36 assists for 52 points. 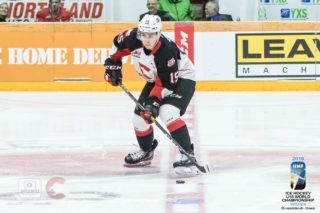 Of the 50 players identified by NHL Central Scouting, five are currently competing with Canada at the 2019 IIHF Under-18 World Championship.